You Have To Go At Least Once! This weekend we knew it was going to be hot so we tried to get there early to avoid the long lines. No such luck, but what a great surprise when we finally got there and parking was FREE with a bus waiting to take the group to the entrance. No lines to buy tickets and you could definitely smell the garlic coming from Gourmet Food Alley. we all agreed the shopping was last because it was too hot to carry anything. So, we’re off… no wine tent in sight yet, so….first stop is the beer garden followed by garlic fried calamari and garlic fries. We bought the beer tins as a practical souvenir and took a break to listen in at the Cook-off Theater. Yes, the free garlic ice cream booth was right in front of us, but the line was about 60 people long. We walked around and were tempted by many goodies but there was still the other half of the event to conquer. We avoided the Children’s Area, yes we did, and came back to Gourmet Food Alley just in time for the Flame-ups by the Pyro Chefs, that was impressive.. huge flames of fire. And we move on. It is high noon and it is very hot. The wine tent is now in sight but we haven’t tried the pesto pasta yet and we’re tempted by the henna tattoo booth (unfortunately the line was too long). So with bellies full we walk around and find our way to the wine tent. Five or six wineries to taste and what a surprise frozen mimosas (the perfect combination of tasty and refreshing). 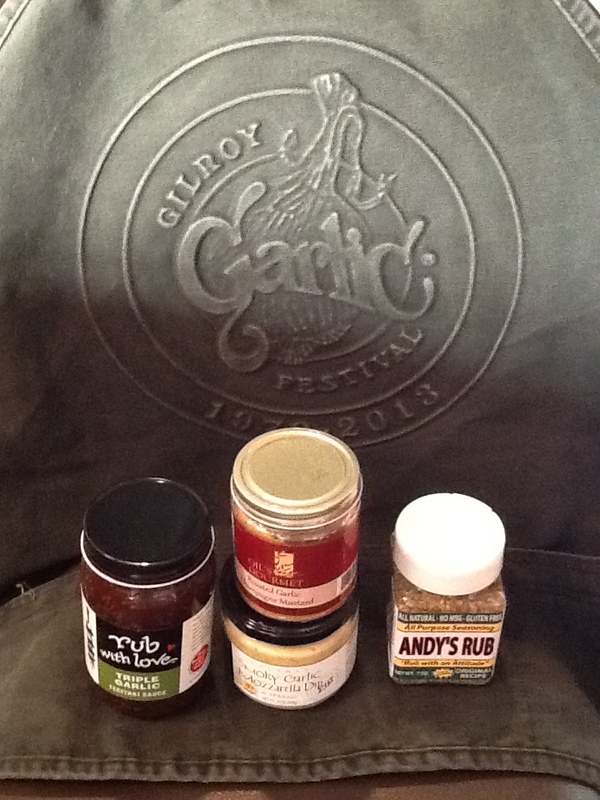 We knew this would be our final stop before shopping at the everything garlic tent. Last stop… everything garlic to buy under one tent. Yes every one bought something, how could we resist. The garlic infused oils, soaps, rubs, dips. Yummmm! Clothing, wine glasses, cook books. A one stop shop and by the look on everyone’s face it was time to say goodbye and head back home. 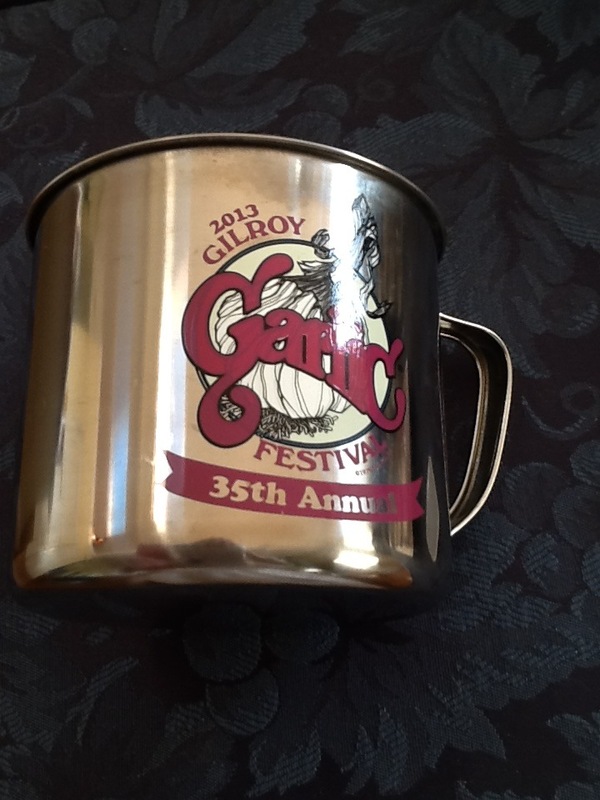 Categories: Events, Travel, Wine | Tags: Argentine Wine, beer, Gilroy Garlic Festival, travel, wine | Permalink.